Better hurry. There is only one selection left in this Faux Floral Bouquet Wire Basket Presentation. 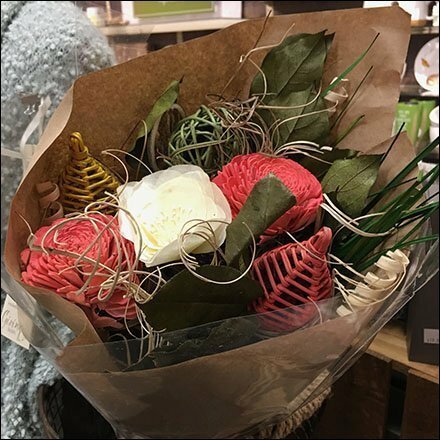 You must admit that it looks very much like an actual Floral Bouquet, and the brown Kraft wrap and exterior twine tie add to the appeal. Only a closer look shows that this gift offering does not require watering and will last a long time. This Faux Floral Bouquet Wire Basket Presentation courtesy of a Hallmark Gold Crown Store.